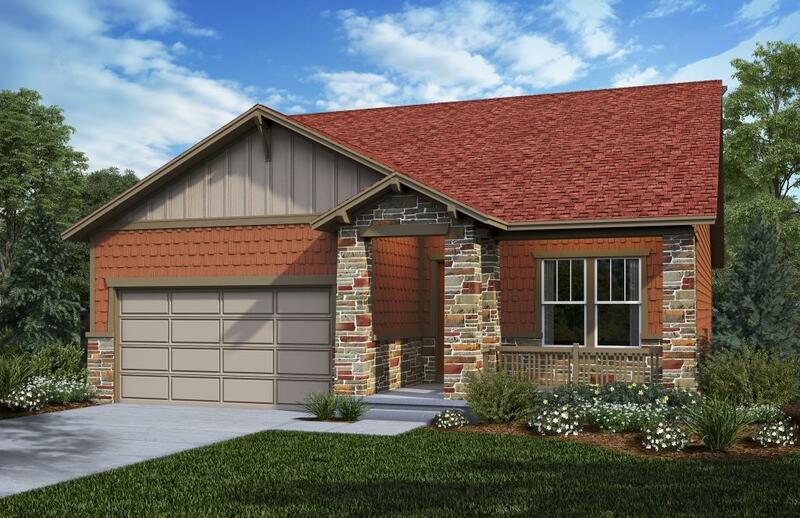 The Cottonwood is an incredibly versatile ranch style floor plan. 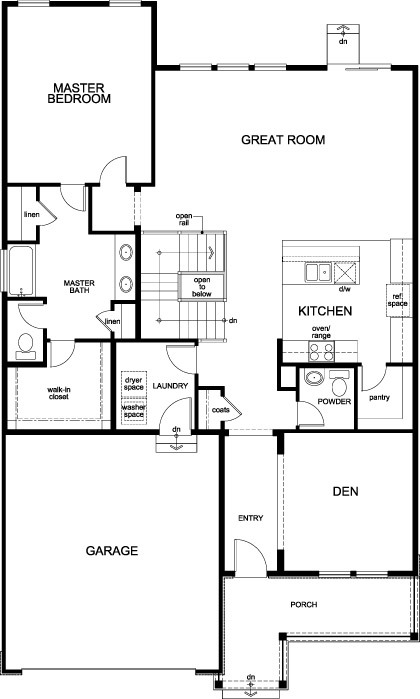 On the first floor there is a den, a dedicated laundry space, powder bathroom, an open concept great room and kitchen, and large master suite with walk in closet and master bath. 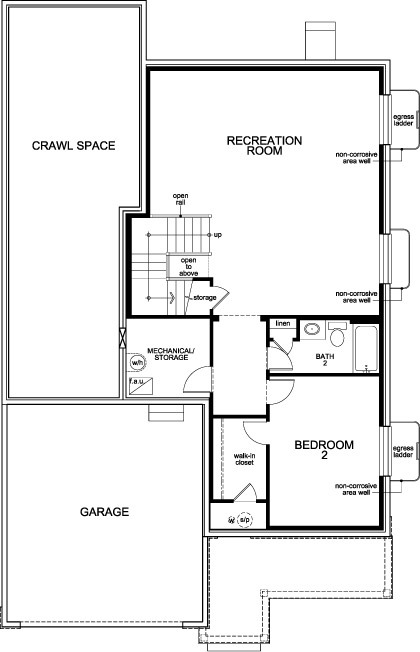 In the standard finished basement is a recreation room, second bedroom, and another full bath.